If I had one piece of advice about this book, I would definitely say, “Don't give up!” I was kind of frustrated with the book for the first few chapters because Paul is completely making up an entire world, not that that's necessarily a bad thing. It was just very frustrating to not know who or what anything was without reading one of the indexes at the back of the book. I think even something as simple as moving the index that described the different races to the front of the book would have been helpful. However, once I learned what the different races were and had an idea of what she was talking about, I really loved this book. I think that many of the main characters are well-developed with personalities that were unique and special. I love the kimens, I wish they really existed because they were just so fun, and Lady Peg made me laugh from the beginning of the book till the end. I also really enjoyed the storyline itself. It didn't follow the hero saves the damsel in distress type of adventure storyline, which I found refreshing, even though I definitely enjoy that storyline. It does have the classic good verses evil theme to it, which I always enjoy, however, the final battle wasn't addressed quite as much as I anticipated. So don't start reading expecting raging battle scenes and constant action. Overall, I really did enjoy this book, and think the character development was very good. I found myself getting sucked into reading just to find out what some of the more interesting and unique characters would do next. I read Paul's DragonSpell. Wulder is the central figure for good in it as well. 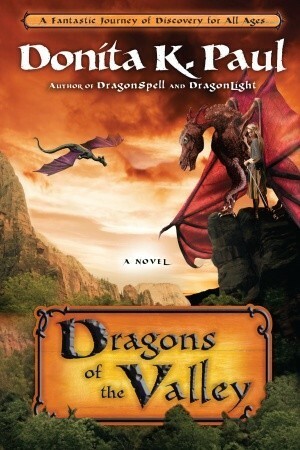 Now that you've have a taste of her world building, you may find DragonSpell an okay book. I do want to mention that it has a YA feel though a few things it touches on are deep themes regarding good vs. evil.